A TAROT READING EXAMPLE USING MY OWN CHART AND the TAROT OF THE HOLY LIGHT'S MASTER ICON. The other day I threw out a spread about the progress of the Tarot of the Holy Light and the companion book that we are laboring to give birth to (and will be published soon!). The Tarot reading was so expressive of both my chart and the current Transits that it seemed a perfect exemplar, to show off the advantages of using the Icon and your own astrology with your spreads. Keep in mind what positions these cards fell in, because once they are transposed onto the Icon they all appear as if simultaneous, arranged around the cycle of the year, which is alternately the circle of the psyche. As you can see, I have written my birth chart in green, the Tarot reading in blue, and the transits in pencil. I then outlined the coincidences, where these different values intersect with each other and occupy the same degrees. Putting everything together on the Icon facilitates harmonization between your inherent and innate design (the birthchart) and current events expressed as both transits and the cards in the spread. 1) The ongoing complication of my 2nd Saturn Return. The Hanged Man reversed points to the slow and steady grinding of Saturn's last retrograde, which crossed my Sun three times before it made an unambiguous return to it's natal location. That phase ended in June 2011 (the past). In the "out" card, weeks into the future still, the 3 of Swords reversed reminds me that Saturn's upcoming retrograde will send him back to the degrees of my Mercury and Neptune again, for one more time under Saturn's microscope. By the time Saturn finally moves into Scorpio (which so fittingly happens on my birthday in 2012), I will have been completely overhauled, inverted, wrung out and relieved of any misapprehensions about my capabilities or my contribution. Saturn will remodel me until he approves me, apparently. Fair warning! 3) This most recent retrograde of Jupiter is featured through the appearance of the Emperor. He's in a withholding mood right now, soI won't get to have my upcoming Jupiter Return until he makes his turn-around (on Christmas day no less!) and recovers all the degrees he 'lost' since August 30th, 2011. The bar will finally be lifted by the end of the degrees covered by the 4 of Discs, during the last full week in April. I'm on notice to handle my natal retrograde Jupiter (who in classic 4 of Discs style, never feels quite ready, or finished, or complete) as best I can, because time waits for no woman! 4) A mystery influence comes in through the sign of Capricorn, where I have no particular natal influences to speak of. This energy is demonstrated by the Page and Queen of Disks, as well as the Deuce. Venus and Pluto are currently resident in this sign as I write, having made a conjunction at 6+ degrees on the first day of December. This tells me that a trend or development that began at the first of the month has continued to mature as Venus has pushed across the sign, activating the potentials suggested by the Queen and the Page. The Deuce gives it's classic message, "wait for the other shoe to drop", which being the second decanate of Capricorn, indicates the first 10 days of the NewYear. I wonder how that's going to manifest? It's always fascinating to see these 'invisible influences' on their way into manifestation! These are just the highlights, I have not actually put a lot of energy into interpretations or rationalizing every card at this point. There's plenty more to learn from thinking more about the cards' positions in the spread, the implications of the reversals, and the details of the Tarot imagery that I haven't even mentioned. The goal in this little article is simply to show how the Tarot reflects the larger cosmos, and how those links can be exploited to give hints about timing and the psychological content of outer events. It's always best when we can ground our intuition in material circumstances; the predictability of the Planet's movements through the signs allows us to have greater security in our interpretations, since the report of our intuition will be tied to the known facts of the solar system's progress. I can also take my chart out of the diagram and substituted Michael's chart, in order to see how this spread about our co-creation affects him. Here is another advantage of this Icon -- it can show the ways the very same cards will effect two or more very different people. 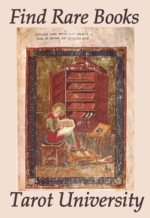 In a circumstance where a single reading is being made for a group of people, this process of reading the cards through the individual birthchart will allow each person to see the collective situation through the lens of their own unique nature. I have been working by this technique for years, laying out cards first "as themselves", then examining them minutely for their astral implications. This type of investigation can take a long time if the deck isn't completely forthcoming with its astrological minutia, or if a person isn't fully comfortable about making these Tarot-to-Astrology conversions. This is where a tool like the Icon comes in handy; it becomes much easier to map your Tarot spread into a similar frame as is used with the birth chart and current transits. Seeing these things all together in one sweep delivers the raw materials for a powerful real-time insight that ties together the inner and outer worlds. An added benefit would be that your astrological acumen will improve alongside your Tarot skills! Learning to take notes like these on your spreads and chart readings will create a trail of fascinating, revealing insights that one can come back later and continue to learn from. Especially as we are maturing, having evidence of our important turning-points and their accompanying astral circumstances helps us gain perspective on the longer, slower cycles of the social and cultural planets (Mars, Jupiter, Saturn) as well as the super-slow, invisible planets at the outer edges of the Solar System (Uranus, Neptune, Pluto). If nothing else, it's a great way to have a table of all the THG values collated in one place. One could also use it as a tool for selecting particular cards for use in a ritual situation, or while doing candle magic. I'd also love to hear from others about how the Icon might be useful for them. 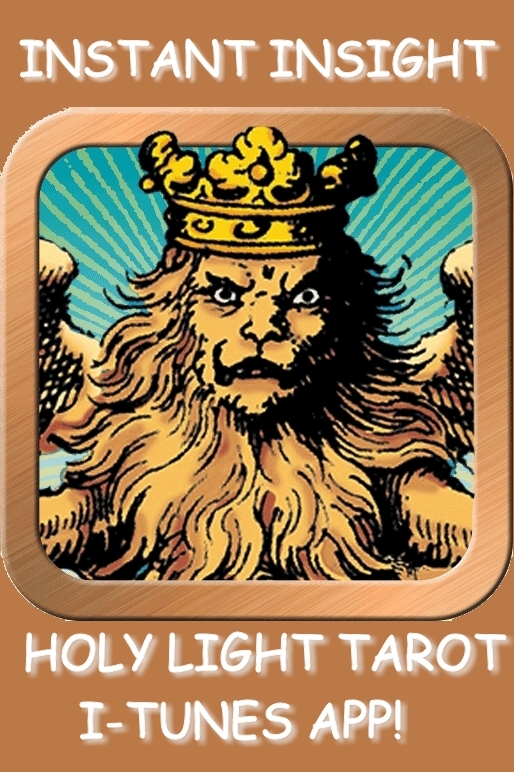 Don't forget to go over to FaceBook where we have started a page for the Tarot of the Holy LIght. Michael mounted a colored version of our Icon there for our delectation.